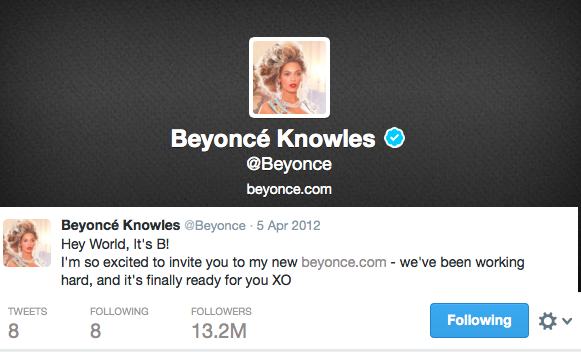 Alonzo Lerone: IS IT REALLY BEYONCE POSTING ON HER SOCIAL MEDIA? Instagram, Twitter, Facebook? IS IT REALLY BEYONCE POSTING ON HER SOCIAL MEDIA? Instagram, Twitter, Facebook? Out of all these pictures on her Instagram, do you question if it’s really Beyonce, herself, posting? The most recent Instagram picture, happens to be the one of her and Kelly Rowland on the beach in red bikinis -Cancun 2001 (as a #tbt picture -Throw Back Thursday.) But if you’re a true fan of the Destiny’s Child franchise, you would had realized that 2 members were cropped out. This isn’t the first time a cropped picture of Beyonce ended up on her instagram. 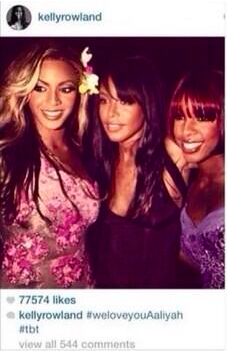 The other happens to be the one with her and Aaliyah (served as a tribute to the “I Miss You” singer,) ironically on Beyonce’s version it cropped out Kelly. 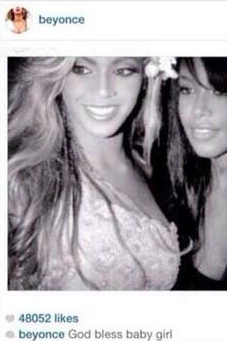 to add fuel to the fire, “Beyonce” uploaded the picture AFTER Kelly uploaded the original version. So with all this being said, do YOU think it’s really Beyonce behind the keyboard? or is a team posting for her?